So sound and beautiful, but you hated showing in the conformation ring, unlike your mom, Lillie Lee. We thought you would thrive with a family that adored you, but we brought you back to the pack at age four, a very neglected burden. We were told you were not totally housebroken and had to leave because of new carpeting. To our surprise, you were so perfect and eager to please &$45; possibly overwhelming gratitude for being back with the pack. You proved to be a good mother though given much grief by Britches, your strong-willed, most beautiful and talented child. 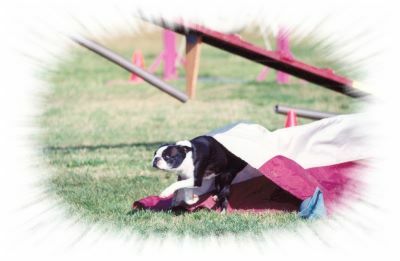 Bruce trained you to play agility and you loved it! 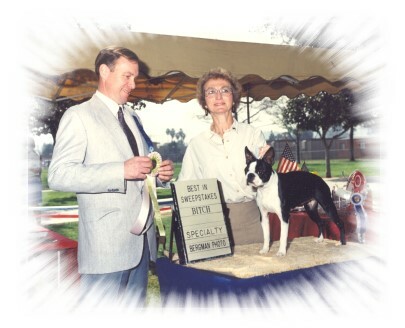 You exceeded your handler's expectations and abilities. You were very competitive. 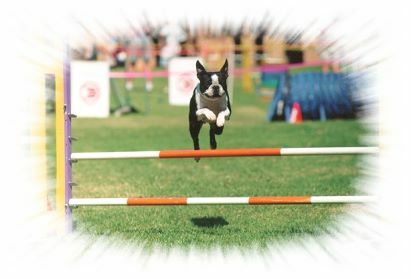 Unfortunately, your failing eyesight ended your agility career at 11 years of age. Like your mom, Lillie Lee, you were stoic, powerful and loving, leaving us with great dignity. We miss you very much, but know you are with us. We sense your presence in Lucy, your great-granddaughter. 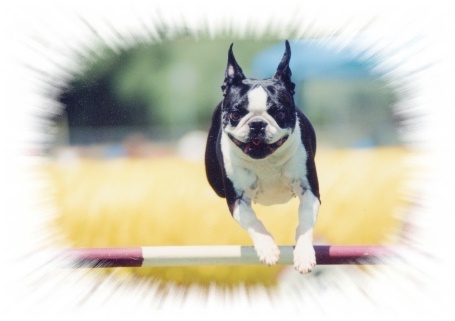 Lucy has your agility spirit!